The Los Angeles County Sheriff’s Department (LASD) arrested one driver for DUI Drugs and two drivers for felony arrest warrants while conducting a DUI/Driver’s License checkpoint on Friday, January 11, 2019. 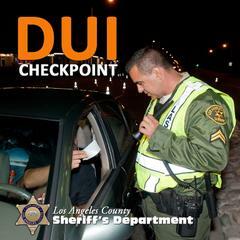 The checkpoint was at southbound Santa Fe Avenue at Auto Drive South between the hours of 6:00 p.m. and 2:00 a.m. In addition, nine drivers were cited/arrested for operating a vehicle unlicensed or with a suspended/revoked license, one driver was cited/arrested for operating a vehicle without a required Ignition Interlock Device, one Arrested on other Criminal Charges, and six vehicles towed.